What is the health of seahorse populations on the coast of the state of Rio de Janeiro? Sponsor a seahorse! 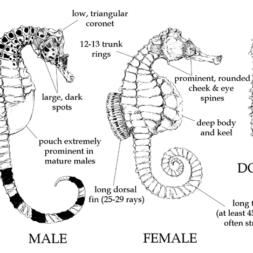 We will send you updates about your choice of a juvenile, male or female seahorse taken from the study. Come out on the boat with us for the day and we'll show you the techniques we use and introduce you to the long nosed seahorse!